Heather Rim is Senior Vice President and Chief Marketing & Communications Officer of AECOM (NYSE: ACM), a premier, fully integrated infrastructure firm that designs, builds, finances and operates infrastructure assets in more than 150 countries through 87,000 employees. As a member of AECOM’s Executive Leadership Team, Heather leads the firm’s 400+ global marketing and communications network to advance business development opportunities, inspire brand loyalty, and engage employees and the marketplace. Since joining the company in 2015, her responsibilities include brand and reputation management, advertising, public and media relations, corporate social responsibility, employee communications, digital communications and strategic marketing. 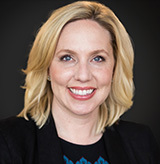 Prior to joining AECOM, Heather was Vice President, Global Corporate Communications, at Avery Dennison, a world leader in labeling and packaging materials and solutions. During her tenure, she led corporate communications initiatives in support of the company’s transformation to a more externally focused and sustainable enterprise. Her responsibilities spanned all facets of communications from reputation management to engagement of the company’s 25,000 employees. Previously, Heather held corporate communications, marketing and investor relations roles at companies including The Walt Disney Company, WellPoint, Countrywide and KPMG. In addition, Heather is an active member of the Los Angeles community and currently serves as Board President at the Downtown Women’s Center, dedicated to empowering women experiencing homelessness and formerly homeless women. She is an Advisory Board Member for the University of Southern California Center for Public Relations, and previously served on the Board of Directors of the United Way of Greater Los Angeles and the Girl Scouts of Greater Los Angeles.